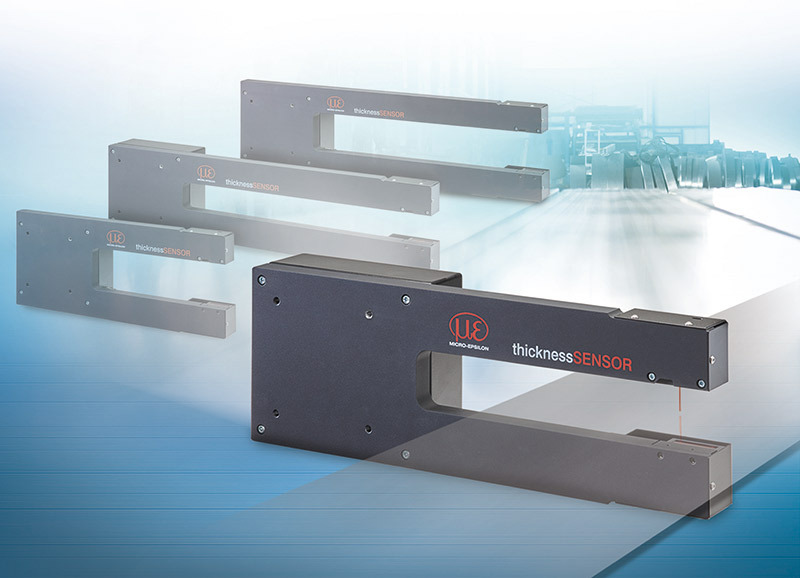 With the thicknessSENSOR, Micro-Epsilon offers a high-performance system for thickness measurement of strip and plate material in the metals and plastics industries, but also a diverse range of fabrics and composite materials. This turnkey solution has now been expanded by three measuring ranges and is therefore suitable for many other applications involving a material thickness up to 25mm and measuring widths up to 400mm. Two laser triangulation sensors are fixed opposite to each other on a stable frame and measure against the target from both sides. The material thickness is detected according to the difference principle. The evaluation unit integrated in the frame calculates the thickness values and outputs these analogically via tension and current or digitally via Ethernet. 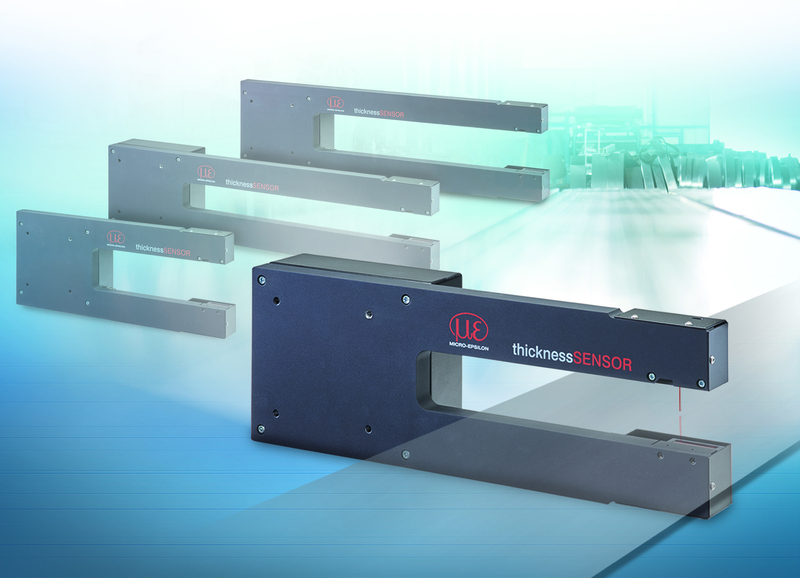 The thicknessSENSOR can be easily integrated into the processing line and in restricted spaces without requiring any complex sensor alignment. In addition, the thicknessSENSOR also offers ease of use via an intuitive web interface, which enables the user to upload individual presets for the respective measurement task. Up to eight user-specific sensor settings can be stored and exported in the setup management feature. The measurement task can be optimized using signal peak selection and freely adjustable signal averaging.